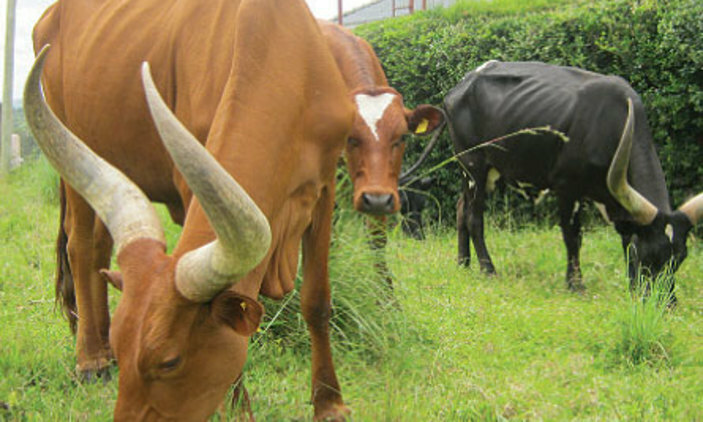 MBARARA – A bitter row has erupted between Mbarara and Kiruhura district local governments over cattle markets spread across their borderline. This comes after few weeks when Kiruhura district established a cattle market at Kyenshama (Kinshama II market) just a half a kilometer from another Kyenshama market in Kashare Sub County in Kashari Mbarara district. We have been told that Mbarara district leaders recently held a crisis meeting and resolved to stop the operations of this market reasoning that it faults markets setting and operation procedures, in an area that is environmentally not good, and operating under poor sanitation and hygiene conditions. In an interview on phone with Basil Bataringaya on Tuesday, Mbarara district secretary for finance said the standard procedure for setting and operating a market is that a market should not be established near the other, operate on the same days and forcing traders in the market because this is a free economy. “This market is just half a kilometer to the already existing market, was established in an area already gazetted for construction of Kyenshama dam by the ministry of water, the market operates on Friday, the same day as our market, the place lacks sanitary facilities and Kiruhura district is using police to force traders into this market,” said Bataringaya. He said they have tried to remain restraint from intimidation but warned if authorities cannot see this anomaly, they will also be forced to use high handed means as they are doing. Bataringaya said in this Kyenshama market on their side has been operating for over 30 years and they generate over Shs 22 million every month. Deus Mugisha the LC III chairperson Kashare Sub County said its lack of respect and arrogance that Kiruhura district can establish a market just neighboring theirs even without sanitary facilities when it’s within a water catchment area and around a water dam that serves water for both livestock and people in the Sub County. “It’s impunity and arrogance, this market has no any toilet facilities, it’s near a water source for that serves the whole Sub County. This Kyenshama dam and the area where the market has been established market has been earmarked by the ministry of water and environment for the redevelopment of an over Shs 6 billion bigger dams to serve the two district and with this market, the project is now threatened,” said Mugisha. When contacted Kiruhura district chairperson Sam Katugunda admitted that the market has been established there but said if their Mbarara counterparts have issues with this move, they should write to them officially and see how they can handle it amicably. “True we have established the market here at Kyenshama, if our colleagues in Mbarara think it was established in bad faith, let them write to us officially and see how we can handle this,” said Katugunda.